The majority of modern handguns have a section below the barrel called a rail. Rails can be found both big and small guns and, of course, can accommodate either light or laser. Additionally, you can toss on just about anything on a rail. But generally speaking, you are limited to a light or laser. 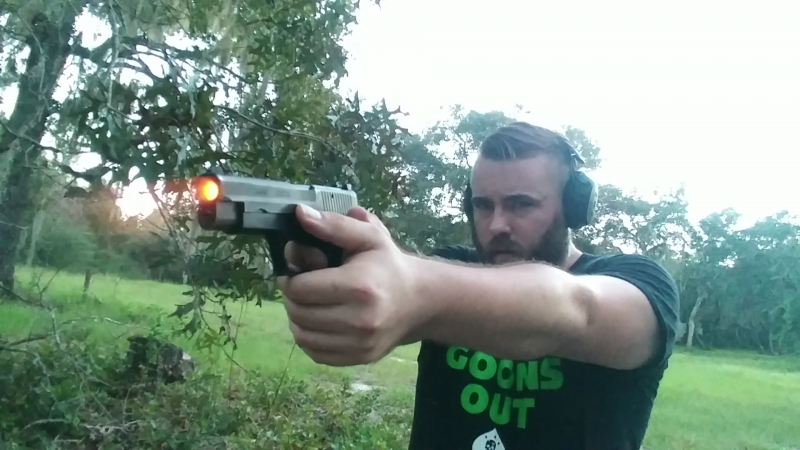 Today, we are going to talk about carrying a handgun with a weapon light mounted on your handgun's rail; how it works, why it works, and confront the downsides of doing so. Why Carry a Weapon Light? Personally, I do carry a weapon with a light, although it’s not something that is an everyday carry setup for me. I take a gun with a flashlight when I know I’m going on an overnight trip, a long day trip, or I’m going to be spending a good portion of a 24 hour day outside. I want a light because simply put: criminals don’t work banker’s hours. They are a 24-hour menace to society. I want the ability to positively identify a target 24 hours a day, and at the same time, I want to maximize my means to control a firearm. A separate EDC light is an effective way to identify a target but requires a hand to manage it. A weapon light allows me to control the weapon, and define a target. It's much more practical to utilize your weapon with rail-mounted light using one hand. Should your non-primary hand be occupied with something else, like your child, you can use your flashlight and handgun at the same time. and you can’t do this with a hand occupied by a gun and a light. You can maximize control of your firearm by using both hands. A rail-mounted light allows you to place both hands on your weapon and control the firearm and light. This makes the weapon easier to control, as well as provide more accurate fire. If you can avoid shooting with one hand, you are putting yourself at a distinct advantage. A weapon light will add some weight to the front of your gun, which is good and bad. What’s good is that the weight will act as a recoil counter. The muzzle will stay a little lower as you fire. As I’ve mentioned above, a weapon light is an excellent option for establishing positive identification attached to your weapon. Yes, you can carry a separate light and use it for the same thing, but how much slower is that? So a potential threat appears, something serious enough to cause you to draw your weapon. Time is of the essence so drawing a gun and getting on target is a lot faster than drawing a pocket carried light and a gun and working to get both on target. This doesn’t mean toss out your EDC light, but supplement it with a weapon light and vice versa. Of course, there is the ability to blind your opponent, even temporarily in a quick and literal flash. This can stock an attack in and of itself. At the same time, it draws attention, which is good. This means people are likely to investigate and potentially lend aid. A weapon light can be a very valuable tool for your concealed carry pistol, but to be fair let's look at the cons. The biggest downside is the addition of bulk to your concealed carry handgun. The majority of weapon lights are rather large. Weapon lights like the TLR 1 and Surefire X300 are big boys. They add some serious bulk to your weapon. Although we need to mention that lights are shrinking, the TLR-7 and TLR-6 from Streamlight are excellent examples. The SIG P365 has the Foxtrot 365 which effortlessly blends into the frame of the gun for a minimal sized weapon light. 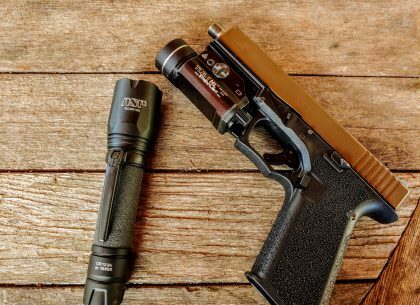 One valid criticism is that the weapon light cannot be used as an EDC light. That’s very true, but a teeny tiny EDC light isn’t exactly hard to carry alongside a weapon light. They can be dropped when things get real, and you still have a weapon light on hand. A lot of people like to complain that it’s hard to find holsters that are light bearing…. I find that weird, because here is one, oh and another, and here is an IWB option. What about this one? There is also this one? Now admittedly, not every gun and weapon light combo will always have a holster for it. However, most common guns will pair with the most common lights. The market for those sporting a Steiner weapon light and a Caracal is going to be pretty low, so obviously, holster options will also be low. 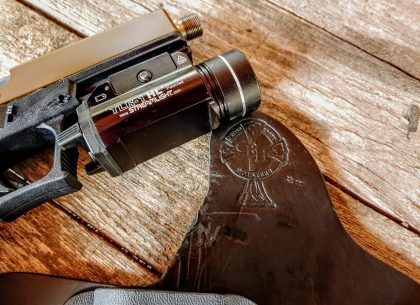 Is a weapon light right for your everyday carry handgun? I have no idea. 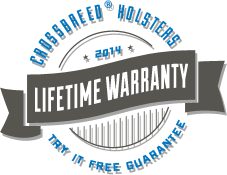 Are you willing to conceal a bigger than a standard gun? Are you ready to spend the extra money to obtain a light and holster for it? Do you commonly work, or play, or do anything in areas with low light? These are questions you have to ask yourself. I personally find a weapon light to be a piece of gear I need from time to time. When I have it, I feel more secure and more capable. Travis Pike is a former Marine Machine gunner who served with 2nd Bn 2nd Marines for 5 years. He deployed in 2009 to Afghanistan and again in 2011 with the 22nd MEU(SOC) during a record-setting 11 months at sea. He’s trained with the Romanian Army, the Spanish Marines, the Emirate Marines, and the Afghan National Army. He serves as an NRA certified pistol instructor and pursues a variety of firearms based hobbies.